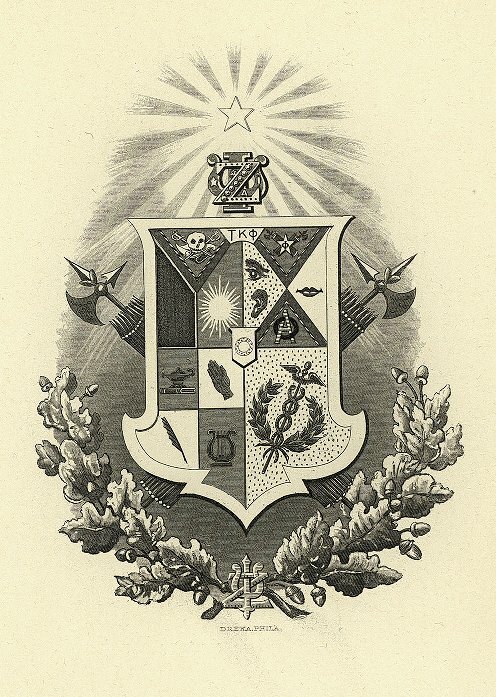 Penn’s Sigma chapter was established on 8 July 1850; the national fraternity was founded in 1847 at New York University by William Henry Dayton, John M. Skillman, and John B. Yates Somers. In 1872, the year Penn moved to West Philadelphia, The Record contained a page naming fourteen members of Zeta Psi. The first few years in West Philadelphia, however, were a low point in the life of the Eta chapter. The Record of 1874 stated that Zeta Psi had become inactive; no members were reported in either 1874 or 1875, but in 1876 The Record again contained a page dedicated to Zeta Psi. The Record of 1877 stated the following, “the Sigma Chapter of the Zeta Psi fraternity having been recently re-established.” Penn’s Sigma chapter has remained in continuous existence since that time. Penn’s Sigma chapter was Zeta Psi’s fifth, following New York University (1847), Williams College (1848), Rutgers University (1848), and Princeton University (1850). In its entry in the 1940 edition of The Record, Zeta Psi stated that it was the first national fraternity to reach the Pacific coast, with the establishment of the California chapter in 1870. It also claimed to be the first international fraternity on the basis of a chapter established at the University of Toronto in 1879. It also noted that each of Zeta Psi’s six Canadian chapters was the first Greek-letter fraternity at its respective institution. Zeta Psi is one of the most prestigious fraternities in the United States. 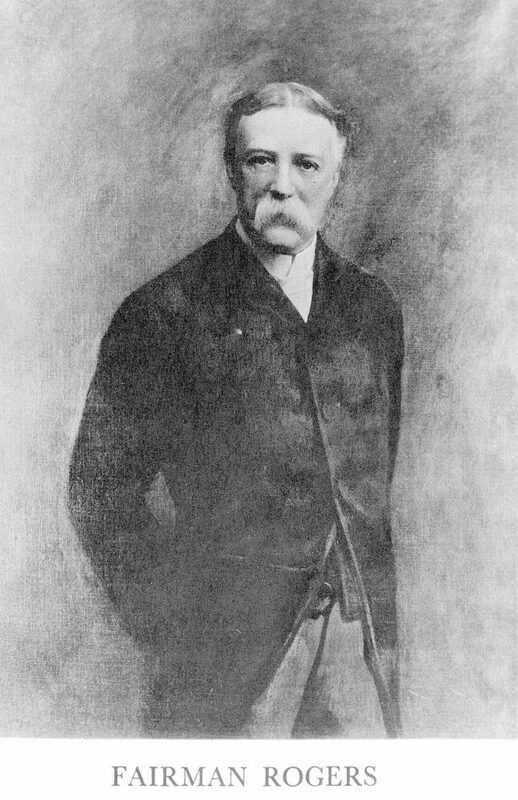 Joseph Johnson Brown (A.B. 1851); William Foster Biddle (A.B. 1852); Henry Augustus Duhring (A.B. 1852); John Andrews Harris (Class of 1852; Hon. D.D. 1886); Francis Albert Lewis (Class of 1852); William Moss (Class of 1853); Robert Earp Randall (A.B. 1853), Gideon Scull, Jr. (A.B. 1853), and James Park Farley Shippen (Class of 1853). By March 1851 the Sigma chapter had rented rooms in a building on the west side of Sixth Street, just north of Spruce Street. It soon became the fraternity of some of Penn’s best known families, including future Provost William Pepper, M.D., future U.S. Senator George Wharton Pepper, and a second future Penn Provost, Charles Custis Harrison. In the mid 1870s, however, Zeta Psi virtually disbanded at Penn. Zeta Psi’s official history, The Story of Zeta Psi, by Howard Bement and Douglas Bement (1932), stated charitably that from 1873 until 1876 the Sigma chapter did not hold meetings “with any regularity” and only initiated a total of six men in the College Classes of 1875, 1876, and 1877. In March 1876, when four undergraduates wished to pledge, they were forced to petition “the Elders” in order to be initiated. These young men – Robert Patterson Robins (A.B. 1876), his younger brother, Thomas (A.B. 1877), Thomas Rundle Neilson (A.B. 1877), and Alfred Emlen Newbold (College Class of 1879, non-grad.) – effectively resurrected the Sigma chapter from the dead and gave it a promising future. They initiated seven others during before the end of the 1876 academic year and five more in 1876-77. Zeta Psi was back on its feet at Penn. 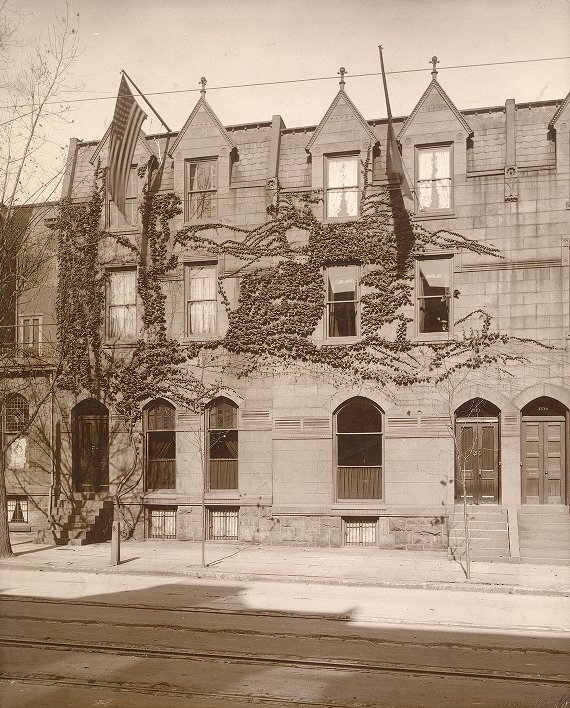 Bements’s Story of Zeta Psi, stated that in 1897 the Sigma chapter purchased and occupied the row houses at 3337 and 3339 Walnut Street. 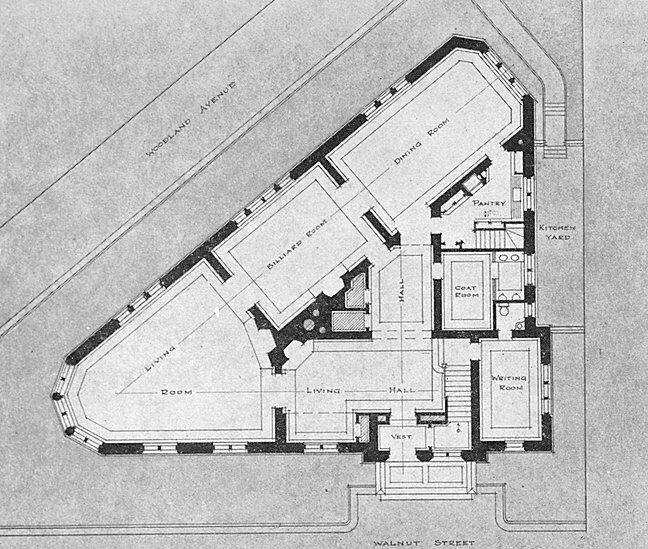 It then altered the houses to create a single club house. In 1908 they were able to purchase an additional, adjacent piece of property and begin a fundraising campaign to design and build a new house. 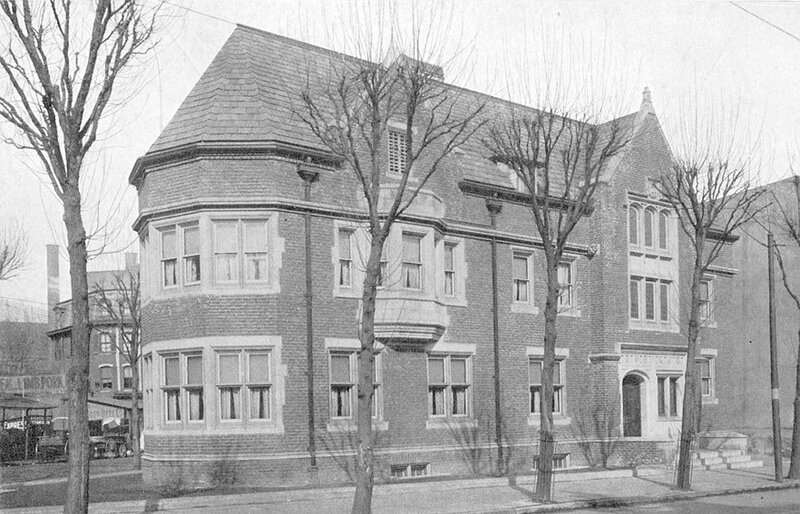 Professors Brownlee and Thomas, in First University, stated that in 1909 the chapter demolished the old buildings and constructed the impressive, architect-designed house that the fraternity still occupies at 3337 Walnut Street, on the northeast corner of 34th and Walnut Streets. 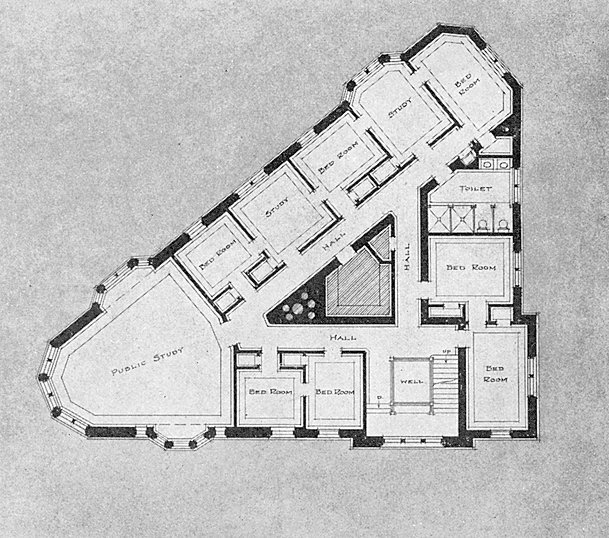 They noted that the architects were two Penn alumni, C. Wharton Churchman and Walter H. Thomas, one of whom, Churchman, was a member of Zeta Psi. 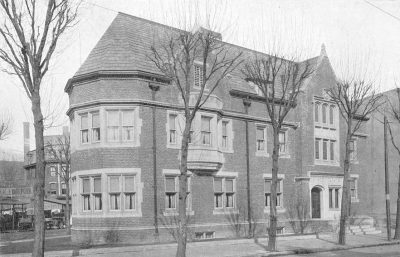 The Story of Zeta Psi, added that the fundraising exceeded its $30,000 goal and that the new house was occupied in September 1910. 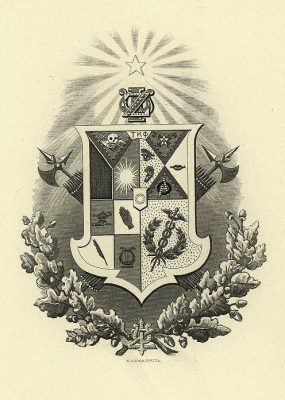 In The Record of 1940, the Sigma chapter claimed that it had “the distinguished honor of having been in continuous existence on the campus longer than any other local fraternity.” In writing this, it seems that the men of Zeta Psi had forgotten about the Sigma chapter’s suspension in the mid 1870s. It may be that Delta Psi has the better claim to longest continuous existence at Penn.